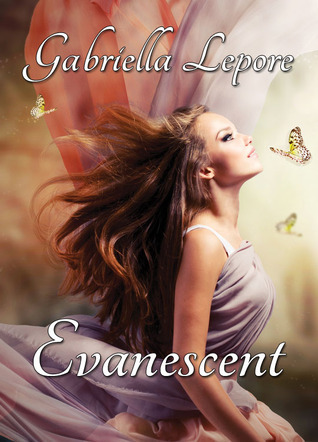 I bring to you a book spotlight for Evanescent, a novel by Gabrielle Lepore. “May I see?” he purred, extending his hand towards the letter. Bronwen took a step backwards. “You’re Felix? That’s not what you said a minute ago,” she challenged. Actually, she’d expected Felix to be… well, older. “Yes, but that was when I was trying to get rid of you. Now I want my letter.” He held out his palm steadily. Bronwen tensed. What choice did she have? Grudgingly, she handed over the letter. Without missing a beat, Felix tore the envelope and tossed it over his shoulder. He hastily unfolded the note and began reading. At first his expression was one of mild interest, but then he paused and looked up at Bronwen with a smirk. “You are Bronwen Snow?” he asked, waving the letter at her. Felix laughed. “Are you quite mad?” His eyes twinkled in amusement, glowing as red as the oil lamps’ flames. “I’m starting to think so,” Bronwen muttered. Gabriella’s debut novel, The Witches of the Glass Castle, is a supernatural teen fiction where sibling rivalry, magic and love collide. 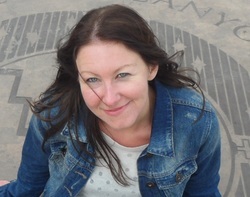 How I Found You was released July 2012 and is now available from all good bookstores and online retailers. Visit our Books page to find out more! Look out for Evanescent in 2013. The young adult fantasy novel set in the mystical welsh hills hits bookstores this year with Crushing Hearts and Black Butterfly Publishing. Hi Kristy! I would love for you to spotlight my book. What would I need to do?